Why Do We Need Nutrient Therapies For Dogs? Animal naturopaths often use nutrient supplements to help treat certain conditions in animals. Based on many years of clinical experience and research, I believe that to achieve 100% optimum health we all need a full range of nutrients and so do our dogs. If we are deficient in even one vitamin, mineral, amino acid or essential fatty acid, the body cannot function at an optimal rate and some, if not many, physiological functions will be compromised. The nutrient-deficient body may be able to function for a while as it tries to make adjustments in order to compensate for the lack of essential nutrients, but eventually disease will almost certainly begin to take hold as the body gives up the battle. It’s a bit like a process line in a factory: If some of the staff don’t turn up for work one day – it puts a bigger stress on the remaining staff to try to function optimally – and that’s what it’s like inside the body when there are some nutrients missing (in people or animals) – pretty soon the staff (other nutrients) can’t cope any longer and the whole process begins to break down. All living organisms require a certain amount of each of the nutrients to function properly and to continually not receive the required nutrients sets the organism up for disease development. It’s that simple! Although there are certain nutrients that can be produced by the body, minerals and essential fatty acids cannot and therefore need to be derived from either the diet and/or supplementation. Given the right conditions, the body can produce certain vitamins and amino acids but other nutrients need to be provided to the body, in order to function optimally. 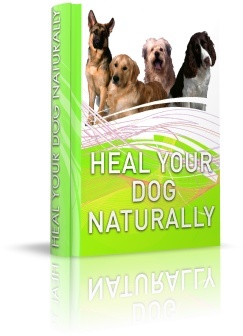 So, Nutritional Medicine, or Orthomolecular Therapy as it is sometimes called, relates to providing the right nutrients in the correct amounts for each individual human, dog or other animal. It’s no good just guessing what your dog needs – different dogs require different nutrients at various stages of their lives and that’s where a well-trained practitioner who understands nutritional science really well, can be extremely helpful to your dog’s health. In nature, animals inherently know that they require additional minerals. An example of this are the elephants in certain areas of Africa – they put their lives on the line by travelling really long and often dangerous routes to access a wide variety of minerals that they derive from specific caves. In fact, it is well documented that they have been carving out these minerals from these caves for millions of years. If we took more notice of the lessons that nature provides and acted on this information, our health and the wellbeing of our pets may be much better.